Strange Culture: Kavalier and Clay: coming out of limbo? I hope so. Kavalier and Clay: coming out of limbo? I hope so. 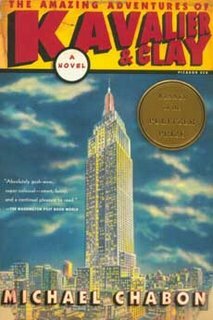 One of my favorite authors in Michael Chabon post on his blog that his pulitzer prize winning novel, The Amazing Adventures of Kavalier and Clay still may actually someday be made into a movie. It seems like a couple of years ago that Stephen Daldry (Billy Elliot, the Hours) would be directing a film adaptation of this brick of a book (over 600 pages). Hopefully he still is. Yet according the Michael Chabon's blog it looks like Natalie Portman is likely to play the part of Rosa and that for some reason or another "a budget and cast and everything, will be decided on or around 12 July 2006." I will be waiting for this announcement. In the meantime, I recommend this book and others the Chabon has written. 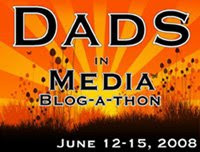 Sidenote: Chabon in film. Chabon wrote the book Wonder Boys which was made into the excellent movie with the same title. He also wrote the story for the film spider-man 2. Very interesting... it's refreshing to see Portman's star rising so steadily. allison, might I suggest that I've actually found better success with Booker Prize winners than with Pulitzer winners. However, this is indeed a good novel. That stinks! I was looking forward to Daldry directing this. I hadn't heard otherwise until your update here. I thought of Jude Law, too. (You might want to adjust that sentence in your post). Salvador Dali? How about Johnny Depp or Benicio Del Toro? For some reason, either of them strike me as being capable of doing someone stylish and weird. It could be from watching Fear and Loathing in Las Vegas. Well, Natalie Portman is a great actress. A new reason to watch the film. will, i think Daldry still would be directing the film, but who knows? Also, I changed the salvador dali sentence, I see how that was confusing. (i think my daldry sentence was confusing to so i adjusted it a little as well). Allison, I'm reading the book Gilead right now, It's a pulitizer prize winner as well...it's excellent! Christopher Walken as Salvador Dali, that would be my choice. Die his hair dark, put a mustache on him. I'm a Chabon fan as well. I actually liked Summerland even more than Kavalier and Klay. I like his story collection "A Model World" as well. i liked Wonder Boys as well as a few short stories that he's written and helped to assemble. and i liked the beginning of K&C. just haven't (w/in the 2 1/2 yrs i had the book) gotten over the middle-third hump. I heard rumors over a year ago. I am a huge Chabon fan and would like nothing more to see K&C on the big screen. This sounds interesting. I've been looking for something new to read.